Never having quite jumped on the iPad wagon (or even the Apple wagon except for a two-year stint with a much-hated iPhone), I’ve been thinking of getting a tablet to complement my connectivity when I’m with clients or elsewhere without a computer. I’ve been doing some research and the Asus Transformer Pad Infinity TF700 seems to be causing a lot of excitement in the tech world these days. In fact, some reviewers think it goes head-to-head with the iPad 3 (or the “New iPad”) in many ways. Here are some reviews I’ve found online. Check them out if you’re looking for an Android tablet that can (pretty much) hold its own with the iPad 3! 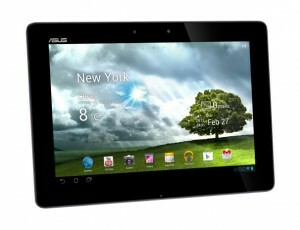 PCWorld published a comprehensive review written by Melissa J. Perenson on June 25, 2012: Asus Transformer Pad Infinity TF700 Review: Stylish, High-Performance Android Tablet. Click here for the full written review with photos. You may also want to check out their written article with side-by-side specs: Asus Transformer Infinity TF700 vs Apple iPad 3 – the giants compared. And here’s their written review of the Asus Transformer Infinity TF700: Asus Transformer Pad Infinity TF700 review – best Android tablet right now.